Australian electric vehicles are an ACE option says Aussie entrepreneur. Greg McGarvie is managing director of the ACE-EV Group and he’s travelling with his new EV Cargo around the nation. The company plans to sell four electric vehicles: the Cargo, the Yewt, the Urban and the Sportz. Recently, Greg answered 20 questions for Energy Matters on ACE EVs and the future of Australian electric vehicles. Greg, how long has the ACE-EV Group been in operation? This is our fourth year, we started life as GetGreen.net.au. How many cars have you made so far? The first one was assembled in Australia in the last week in March. It arrived in six boxes and then our Mechatronics engineer, with Willi from Germany, assembled it for its first showing at Carmageddon MTAQ in Brisbane. How would you describe the aesthetic of ACE vehicles? We’ve had very positive feedback – they are full of character and each model has its own personality. 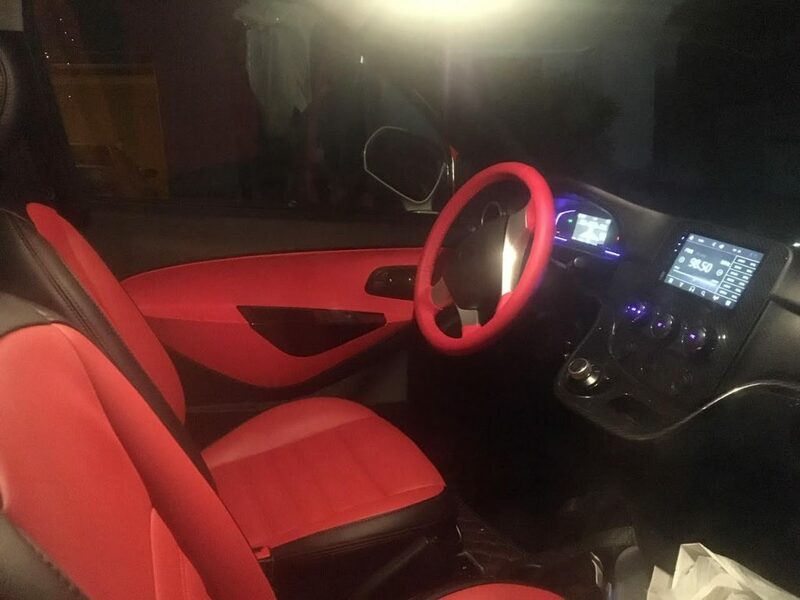 Interior of ACE Australian Electric Vehicle at SEC 2019. Do they have Bluetooth connections for phones, etc, inside? The prototype is like your standard vehicle touch-screen operations, it’s German designed. The production models next year will be fully capable within our ecosystem, which includes blockchain data security and IOT capable systems. It will also take updates like a mobile phone. In fact, mobile phone is the key entry. The target’s $40,000, but we’re not sure what government charges will apply. There’ll be more certainty after the election. Vehicle delivery will be early 2020. What are the maintenance and servicing costs? $50. The ACE Cargo had its first delivery service, booked in to Bob Jane T-mart for a wheel alignment, and that’s basically it. Regen braking means disk pads last three times longer and online updates manage what would normally be service analytics. Are ACE EVs cheaper to run than a similar sized IC engine vehicle? The average running cost is $9 per 250 km. ACE Cargo EV with designer Will Qiang talking to an attendee at SEC 2019. Your vehicle panels and components are made in China then assembled here. How do the Chinese regard EVs, are they popular there? Chinese policy is ‘totally EV, ASAP’. It is the largest market in the world – 680,000 EVs sold last year. How many EVs sold here? Australian sales were under 2,000. Could EVs revive the Aussie car market for domestic use? Could you see yourself exporting ACE vehicles? We are not depending on the Aussie market for survival, we have exclusive global RHD assembly and manufacturing rights. Our initial focus in Australia is light commercial urban city transport. Are there some people who just can’t get used to the idea of an electric car? What would you say to them? Try sitting in your garage with your petrol motor running. Then do the same with an EV. Which one is better for your health? Worried about range? No need park your car in the garage or near a standard power point – fill it overnight and next morning it’s ready to go. There’s no need ever again to find a cheap fuel station for your once-a-week fill up. What special gear do you need to charge an EV at home? A standard power point. Our ACE series are all designed to fit the current infrastructure, which is millions of power points compared to perhaps 200-plus charge points. Will that stress the electricity grid? The power draw is equivalent to 1.5 toasters. If that’s a threat to the grid, then our network operators have really let the country down! There are estimates of 10 minutes to 10 hours to charge an EV. How long does it take to fully charge one of your vehicles? Our ACE series charge overnight if empty. Future models with graphene interface will also have high-speed charging. Poor battery management systems and rapid charging reduce battery life. What’s their range on a full battery? 30 kW battery: 200 – 250 km; 40 kW battery: 260 – 330 km. The future model Sportz: 600 km. Graphene Interface Technology is an additional cost and gives a 40 per cent range increase. Which is only sensible if you’re doing lots of long-distance travel. Will owners find it hard to find a charging station if they’re out on the road? No, just anywhere there’s a power point. However, our vehicles are specifically designed for urban use. PM Scott Morrison doesn’t seem to think EVs are up to towing boats or trailers. Can the ACE Yewt do the same things a Hilux or Triton can? No, but it can do the same or better than the Subaru Brumby. A Federal Election is coming up next month. Who gets your vote purely in terms of your business and why? It cannot possibly be the Morrison mayhem. Since we began this business we have had not an ounce of assistance. In fact, setting up our project with our international corporate partners out of Germany and Taiwan bought home to us the tragic reality of this current government. They single-handedly set Australia back decades with a big fail on communications – it’s worse now than ever and it impacts our productivity. 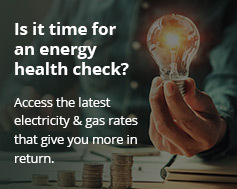 Energy is the biggest disaster of all for business, with escalating costs and uncertainty of energy supply and security. EVs, managed correctly, provide that security and certainty. What’s the biggest obstacle to Australians buying EVs? 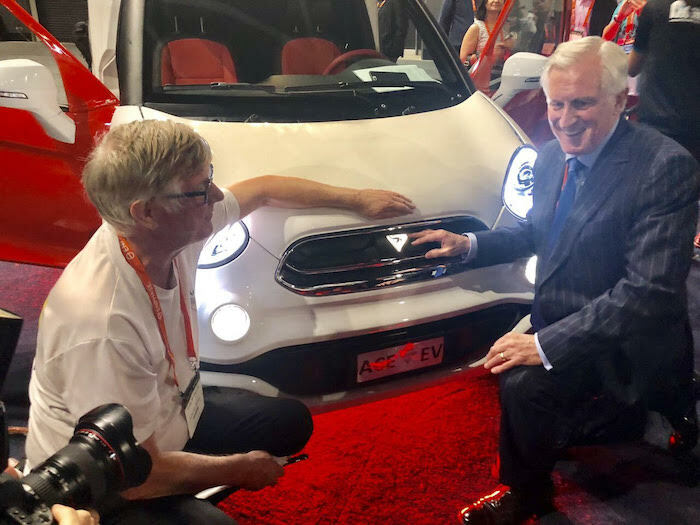 John Hewson, former Liberal leader with ACE Australian Electric Vehicle at SEC 2019. What do people generally not know about EVs that might surprise them? They are brilliant to drive, there’s no smell or noise and the only additive is water for the wipers. Running costs are also much less, you can free up around $60 a week. They have great smooth acceleration, and ACE EVs are as easy to purchase, own and operate as a mobile phone. In addition, they are the perfect business solution on wheels, especially for urban tradies. You can charge your power tools off the battery.